The Dakar prohibits taking extra notes in the road book and punishes the Argentine driver. Mena is now tenth and Laia, twelfth. 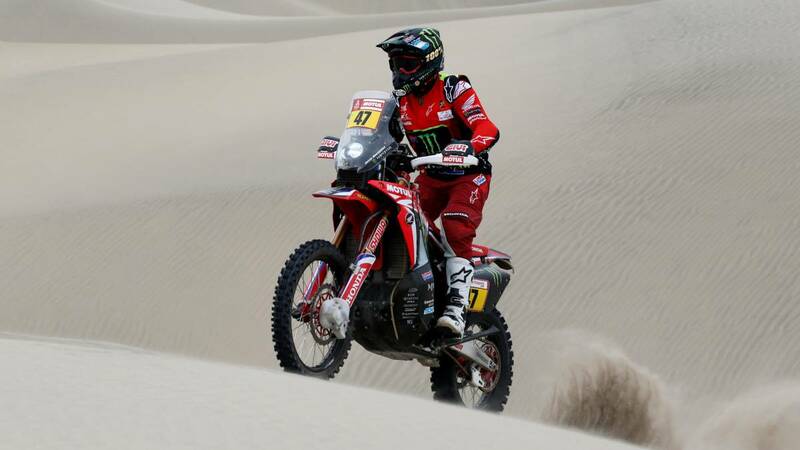 El Dakar announced that would review the route books of the pilots and co-pilots in search of extra annotations, that would 'empty' the pockets of the participants by if there were some chop, and in the eigh stage of the raid a penalty has been announced in this regard for piloto top, Kevin Benavides (Honda) . The Argentine, who had yielded 15 minutes during the special of the day, receives three hours of penalty applied by the Race Director for "having additional notes in the deposit that he hid at the start the special". There are notes of the specialists on their team's maps, which exist in all the leading teams but which the organization tries to limit as of this year. Because of the penalty, Benavides loses a few positions in the general classification that applies to Oriol Mena (Hero) to the tenth position and allow Laia Sanz (KTM) to be the twelfth qualified of this Dakar in the absence of two stages for its conclusion.